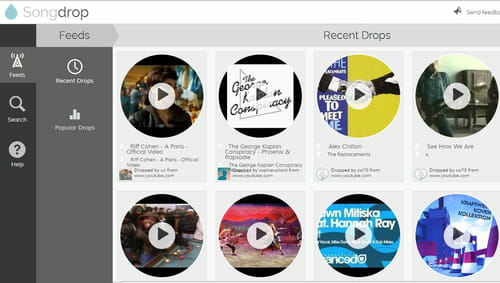 Songdrops is a social network dedicated to the music. It works on the same principle as Pinterest, but instead of pinning imag, you'll need "drop" your audio tracks . 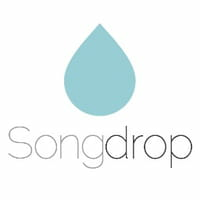 If you like browsing the web looking for new songs, Songdrops is for you. This social network allows you to bookmark audio tracks and organize a music library from music found on sites like Youtube or Soundcloud. 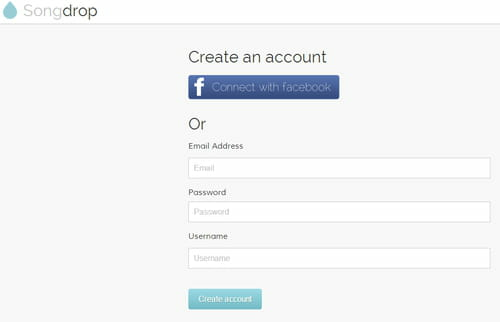 You will be provided with a "Drop it" button, that will be installed on your browser. You can then create "mixes" (playlists) to store your music. Published by jak58. Latest update on March 7, 2013 at 05:01 AM by jak58. This document, titled "Songdrops - Your online social music library," is available under the Creative Commons license. Any copy, reuse, or modification of the content should be sufficiently credited to CCM (https://ccm.net/).